Previous schemes 18 - photo gallery. Photo title:- Historic pub to dwelling house conversion plus building a new house within the pubs side car park as an infill development. Completed 2011. Description:- To construct a new four bedroom dwelling house within the car park of an Oxfordshire village pub that was now surplus to requirements due to the change of use of the former pub back to a residential dwelling house. 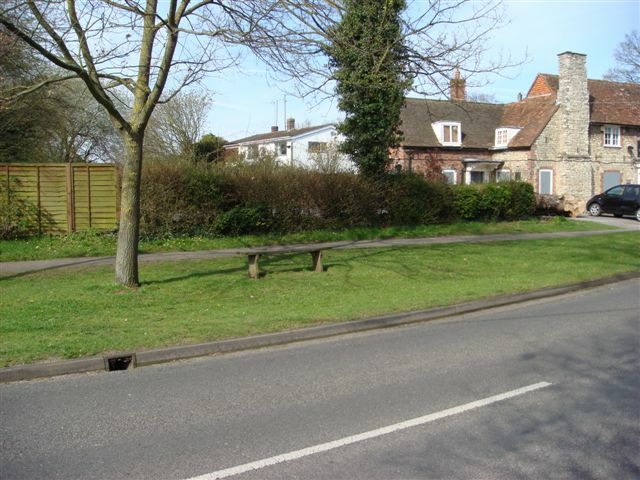 Existing property:- A good sized pub car park and part pub garden ideally sized and sited for the formation of a new infill dwelling house. Siting of the new property was in the traditional urban grain and had an important visual relationship with the former pub building. The site benefited from an existing wide and open highway access with good vision splays. Part of the works involved reducing the access and providing some enclosure and landscaping for the existing pub conversion and the new dwelling. Previous Planning History:- The previous owners attempted a planning application for a change of use back to residential but it was poorly presented and lacked the correct supporting documentation and was subsequently refused planning permission. Clients requirements:- To convert the pub back into a single domestic dwelling with minimal fuss and alterations for a straight forward Planning Approval as soon as possible. To identify works that would lend itself to un-contentious development that would be supported by the Planning Dept. CHP comments - CHP was given a free hand to propose a design of dwelling that would enhance and preserve the local area. Materials and design elements were taken from the adjoining pub building for the new dwelling. The height of the steep pitched roof had to be restricted to balance that of the adjoining pub and the other bungalow neighbour adjacent. A double pitched roof with a central hidden valley was proposed. Understanding the LPA's planning policy and all the embedded 'trip wires' within that Planning Policy that could be exploited by the Planning Dept and their third party consultations were crucial to a successful Planning approval for this scheme. Village pub conversions to remove the 'perceived' important community pub use is a 'hot topic' for most rural communities that seek to retain such investments or assets even if they do not personally support their use during normal opening hours throughout the week. Patronising a pub as a kind of occasional 'village trinket' a few times a year by locals is simply not enough to make the business viable. Sustained weekly involvement by at least 10% of the villagers is usually required to make the pub viable. A couple of new house designs were formulated by CHP for clients assessment and approval. Emphasis was kept on trying to keep the external appearance of the property simple and uncomplicated without all the usual 'developer' paraphernalia. Specialist Panning Consultants were brought on board to demonstrate the acceptance and compliance of the scheme under current Planning Policy.